Notes The suspension problems found on earlier marks of Mk. 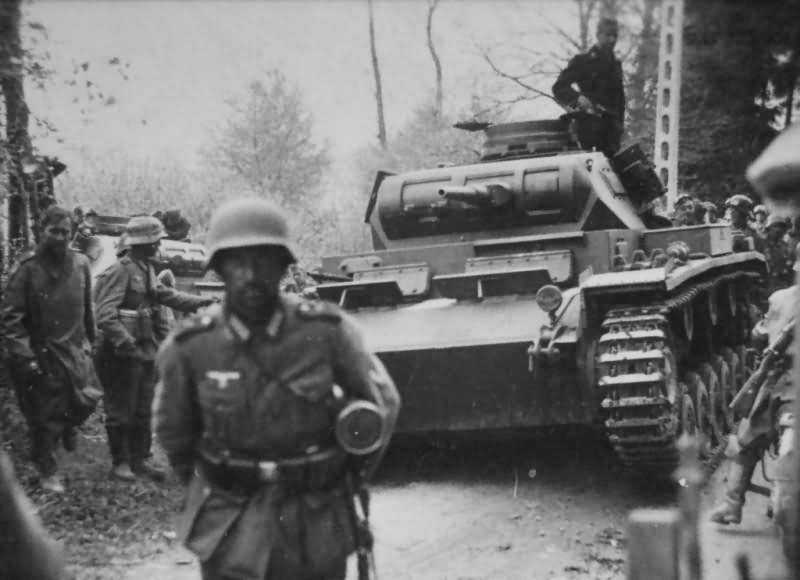 IIIs were eradicated and the Panzer III Ausf E was the first to be designed with torsion bars which solved the problems. The running gear was now replaced by six road wheels. It also had thicker armour which increased the weight and new escape hatches built into the hull sides. The Ausf E was armed with a 37mm KwK 36 gun and twin coaxial MG34s. In late 1940 some had their 37mm guns replaced with the larger 50mm KwK 38.